Universal's first monster movie since Dracula's Daughter in 1936, Son of Frankenstein kicked off the studio's second horror cycle. Lavishly produced sets and a lead cast of horror luminaries marked it as an auspicious beginning. Although the wit of James Whale is sorely missed, Rowland V. Lee brings a quality of his own to the movie, making it as much a necessity to the genre as Bride of Frankenstein. 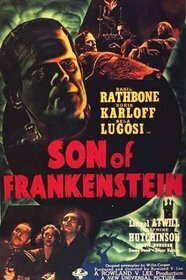 After the death of his father, Wolf von Frankenstein (Basil Rathbone) travels with his family to his newly inherited castle. He finds he is most unwelcome in the village surrounding his new home; the townspeople believe that the ghost of the original Frankenstein monster (Boris Karloff, in his last performance of the role) still haunts them. Wolf soon finds that it is not a ghost at all, but the real flesh-and-blood article, under the control of the grizzly and sinister Ygor (Bela Lugosi). Universal continues its policy of not letting the details of previous entries get in the way of a good story. The village has, in the intervening 25 years since the events of Bride, inexplicably changed its name to Frankenstein. Henry Frankenstein apparently had an assistant named Ygor who must have been just to the left of frame throughout the first two movies. Oh, and the good doctor never renounced his work, but instead encourages his son to carry on. You know, because it turned out so well with the last two monsters. 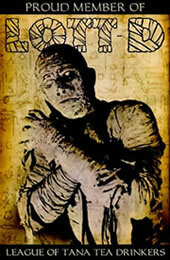 The main aspect of the film to suffer from the re-imagining of the past is the monster. Karloff's nuanced, sensitive interpretation of the character is almost completely obscured here. The script strips him of the power of speech (acquired in Bride) and has him acting as little more than a malicious automaton, working at the bidding of the film's true monster, Ygor. The "sympathy hands" come in to play once, and there's an excellent sequence where the monster confronts his own mirror image. One interesting development to the character, however, is that he's developed a basic but malevolent intelligence, perhaps from the influence of Ygor. Overall, however, this monster isn't half as interesting as the one we're used to. The doctor will see you now. 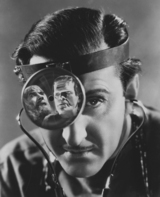 Basil Rathbone in Rowland V. Lee's Son of Frankenstein (1939). Rathbone is a logical addition to the Frankenstein gene pool. Not only does he bear a reasonable physical resemblance to Colin Clive, but he also plays a similar angle of scientific curiosity, adding to it an idolization of the father he never knew. Rathbone, however, is a great deal more restrained in his performance than Clive was. As the tension in the film mounts, Wolf's paranoia seems that much more hysterical because of the contrast with the more collected man we meet at the beginning of the movie. Although Rathbone plays the title character, it is Lugosi's Ygor who steals the focus every time he's on screen. Slow, but hardly simple, the former assistant to Wolf's father exhibits a grotesquely broken neck, an injury suffered in a hanging that he mysteriously survived. The man is driven to revenge against the city council who condemned him to death and he manipulates the monster and then Wolf into helping him meet his ends. This is definitely Lugosi's finest hour, as his every stilted word and stiff movement reek of the sinister. Making the film's central conflict into a triangle is Police Inspector Krogh, played by Lionel Atwill. If Wolf represents science unchecked and Ygor represents evil unrestrained, then Krogh is man, fighting for his right to a life without either element. Unlike the villagers, Krogh is not superstitious or ignorant. He's a good man trying to do what's best. His failings, even his occasional fascist bent, are understandable; the monster tore Krogh's arm out by the roots when the future police inspector was just a child. Krogh is the heart of the film in many ways, and adds dimension to what could have been a very simplistic conflict of superstition vs. science. Production design on the film is incredible and reason alone to watch at least once. The stark, oversized sets seem to be an Americanization of the Expressionist tropes of German silent cinema. Shadows pour over everything, imprinting an atmosphere of doom upon the action. The feeling engendered is unnerving because it bears the weight of inevitability. This atmosphere, though, is nothing if it is applied to a rushed film, which Son of Frankenstein certainly is not. At 100 minutes, it's the longest of the Frankenstein series (and it occasionally feels that way). Director Lee takes his time with the plot, letting all the complicated elements work themselves together naturally. All the characters have strong motivations that work against each other until they clash violently during the well-orchestrated climax. 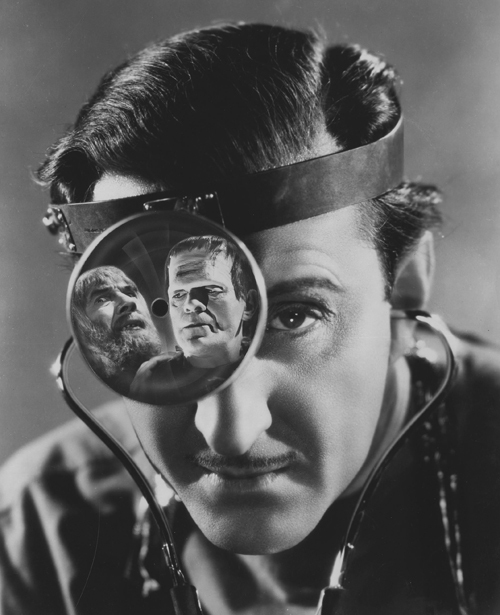 Son of Frankenstein revivified the briefly stagnant horror genre, allowing the cycle of monsters to continue for another nine years, until Abbott and Costello stumbled onto the scene. Although Karloff is slighted in terms of the plot, the central Wolf-Ygor-Krogh conflict is strong enough to distract one from that fact. It's a solid chiller from the studio that really knew solid chillers.